14 October 2016 – Campaigners are calling on Prince Charles to cancel his upcoming visit to Bahrain in light of the country’s deteriorating situation, as a leading activist faces 15 years in prison on Monday 31 October. The Prince of Wales and The Duchess of Cornwall will visit Bahrain for three days, between 9-11 November. The purpose of the visit is to “promote the U.K.’s partnership in key areas such as religious tolerance, military cooperation, supporting women in leadership, creating youth opportunities, preserving cultural heritage and wildlife conservation.” Human rights are noticeably absent from the agenda, and they will spend a whole day in Bahrain’s capital, Manama, with no public engagements. The Prince of Wales’ visit to Bahrain was announced in September, and came under immediate criticism. The letter comes ahead of Nabeel Rajab’s 31 October trial date, when the human rights defender is expected to be sentenced up to 15 years in prison. 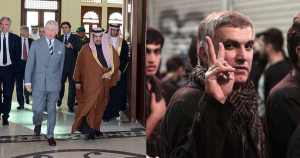 Rajab, who is currently being held in solitary confinement ahead of his court date, faces multiple charges of “insulting a statutory body”, “insulting a neighboring country”, and “disseminating false rumors in time of war”. These are in relation to remarks he tweeted and retweeted on Twitter in 2015 about torture in Bahrain’s Jau prison and the humanitarian crisis caused by the Saudi-led war in Yemen. He was also charged in September with “undermining the prestige of the state” after the New York Times published his opinion piece, Letter from a Bahraini Jail. If convicted on this charge, Rajab faces an additional year in prison. Since June 2016, the Government of Bahrain has carried out a sustained campaign against the country’s civil and political society and the country’s Shia community. 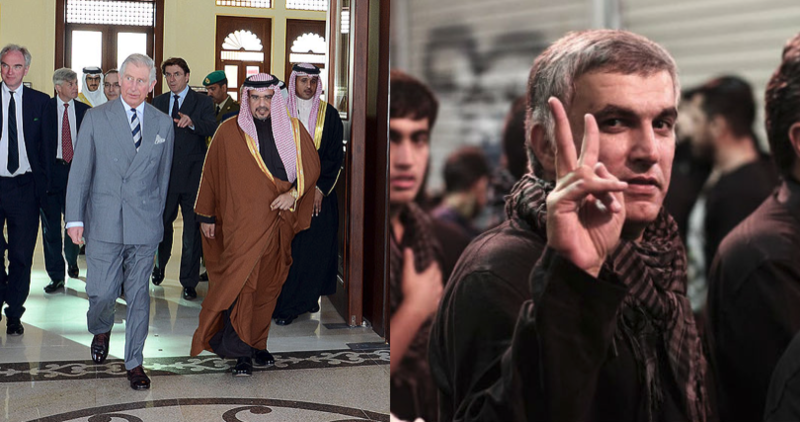 As well as the prosecution of Nabeel Rajab, over 20 human rights activists have been banned from travel in June and August according to BIRD’s data, preventing them from attending two sessions of the UN Human Rights Council and engaging in international events. One human rights defender, Zainab Al-Khawaja, was forced into exile in June after receiving threats of re-arrest and indefinite detention. This came within weeks of her release from prison on charges related to her expression, which was secured through pressure from the United States. Al Wefaq, the largest political society in the country, was dissolved over the summer and their assets frozen. The society is appealing the decision. In May, a court increased the prison sentence of Al Wefaq’s Secretary General from four years to nine on charges related to his peaceful political activities. Alongside these events, on 20 June the Ministry of Interior revoked the nationality of Sheikh Isa Qassim, the spiritual leader of Bahrain’s Shia majority. Sheikh Qassim is today the highest ranking Shia cleric in the country, and had been an elected member of the country’s parliament in 1973 (the brief democratic experiment was abolished within two years by the late Emir Isa, King Hamad’s father and predecessor). He is now being prosecuted for “money laundering”. The charge relates to his role in gathering and distributing Khums, a type of religious donation commonly practiced by Shia Muslims. According to BIRD’s documentation, over 60 clerics have been subject to questioning and prosecution for their sermons and participation in protests, with three sentenced in the past month. Since 20 June, police have subjected Sheikh Qassim’s hometown of Duraz to a physical blockade and nightly internet blackouts, collectively punishing the village’s 20,000 residents.